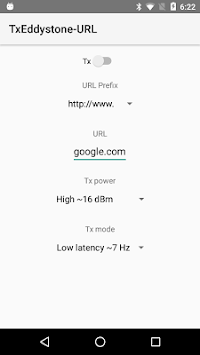 This app acts as a Eddystone URL beacon (Physical Web). You can specify a custom URL to broadcast. You will need a device which supports BLE (Bluetooth Low Energy) peripheral mode.